The Female Side of God, Please! Well, these last eight months haven’t felt like spring. They have felt like the longest, coldest, hardest winter ever. Losing my mom, losing the job I loved, my InterVarsity family. 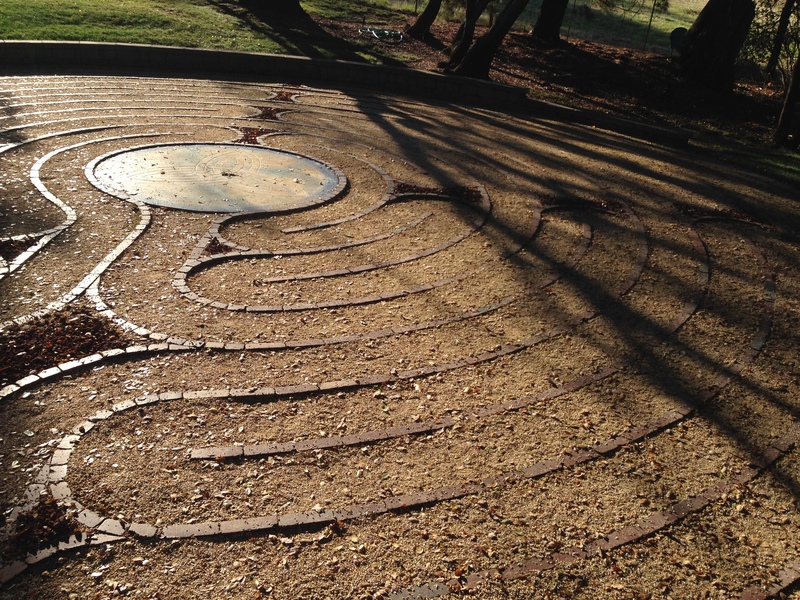 As I walked the labyrinth at Mercy Center last week, I reflected on Spring: re-birth and birth. When you’re in labor you have to go through “transition” before you give birth. Transition is ugly. You turn mean. You say horrible things to people that love you. You swear. I’m in transition. I’m mean. I hurt those I love. I swear. I’m in pain. I’m grieving. Will I give birth in the spring? I know I can’t rush the birthing process. No one hopes to give birth to a premie or a stillborn child. Growing new life takes time — patience. I’m not ready to give birth. I walk the soft curves of the labyrinth, turning toward and away from the womb. That’s what I need right now. Not a hard, masculine side of God with bared chest and bulging muscles. I need a soft female side of God, with large round breasts and fleshy arms to hold me tight and suckle me. A soft place to land. A warm place to hide. I’m tired of the tomb, I want the womb – like my childhood caregiver, Lillian, who swept me into her arms every day after school and held me close and safe to her fluffy goodness. My own mother was small-boned and wiry. She smelled of smoke and had a hard time holding still. Lillian was warm and soft and available. Twice now, girls have come up to me on the playground when I’m on yard duty and asked for hugs. I love to wrap them in my arms for just a moment before they run off to play. For just a moment they feel safe. Because the world is a hard place. One of the girls has a chronically sick sister that makes her life unbearable, and the other is as smart as Einstein but has the social skills of Joaquin Phoenix and gets made fun of a lot. And I get to be a soft place for them to land. I need a soft place to land. But just as the labyrinth pushes me out of the womb and back into the world, this birth will happen eventually. What will it look like? Will it have ten fingers and toes, or be weak and sickly? Will it live? Am I ready? Thankfully it’s still winter, at least in Reno, although California is showing signs of life. I have time to rest before moving forward. I will wait, quiet and nested in the womb of my God. I hear ya. That’s why I love Julian of Norwich’s writing, revelations of divine love. Have you read it? I’ve read parts, not the whole thing! Maybe I should try her again! This is really beautiful and vulnerable – thank you for sharing this piece with us!